Impact Center in Bangkok, Thailand is way way far from the main part of the city. It is where they placed their premier exhibition halls that's comparable to that of what we have seen in Dubai. Large spacious halls that can accommodate thousands of visitors per day, truly a construction and architectural marvel by itself. Around it though, food places are bit expensive. We were eating only Burger King here until finally we came to this place - Cosmo Bazaar. A mini mall within a warehouse mall, this mall or bazaar prides itself not only with famous shop brands, located at the ground floor, they have a varied array of food shops as well. 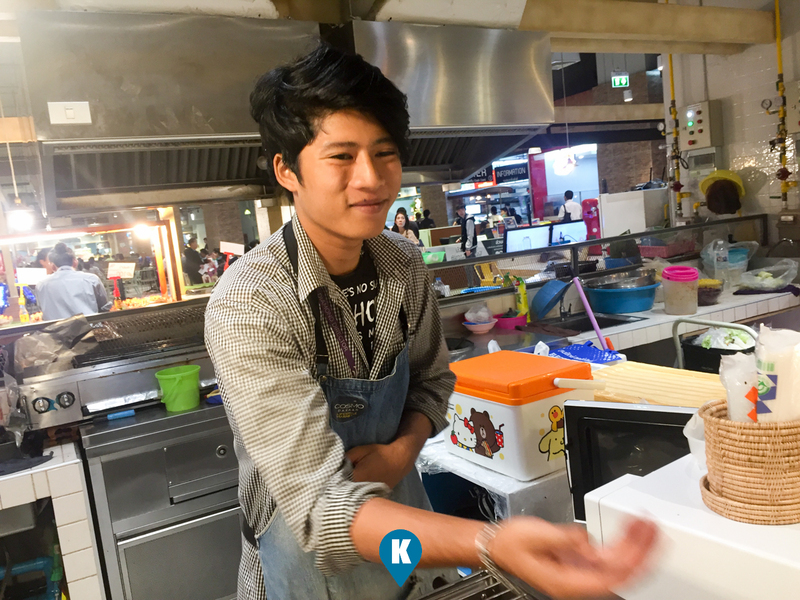 The food stalls are located both in and out of the mall. For our food trip here, we ventured in the cool part of the food court. 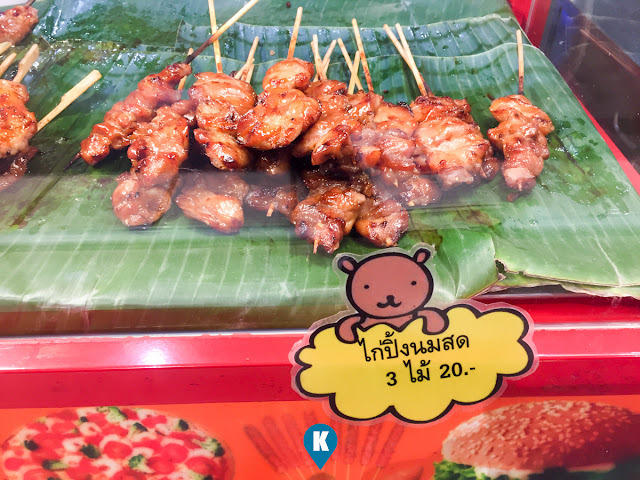 Herein we found some tasty Barbecue Pork, 3 pcs for THB20 (Php34). I thought at first it would taste like the ones we have in Manila but was so mistaken. This was great! 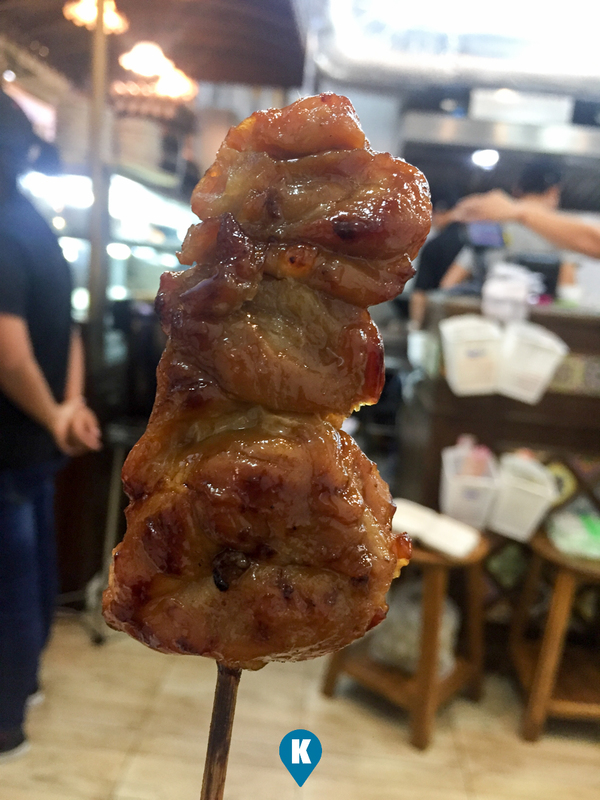 Sorry Manila, I like our barbecue but this one really had me going bonkers. 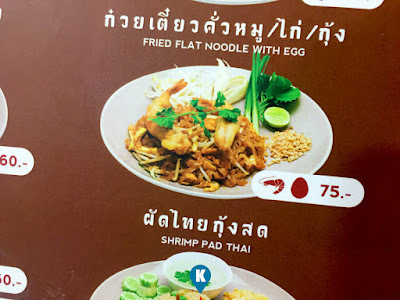 We bought this as an appetizer prior to our meal - Pad Thai Shrimp. 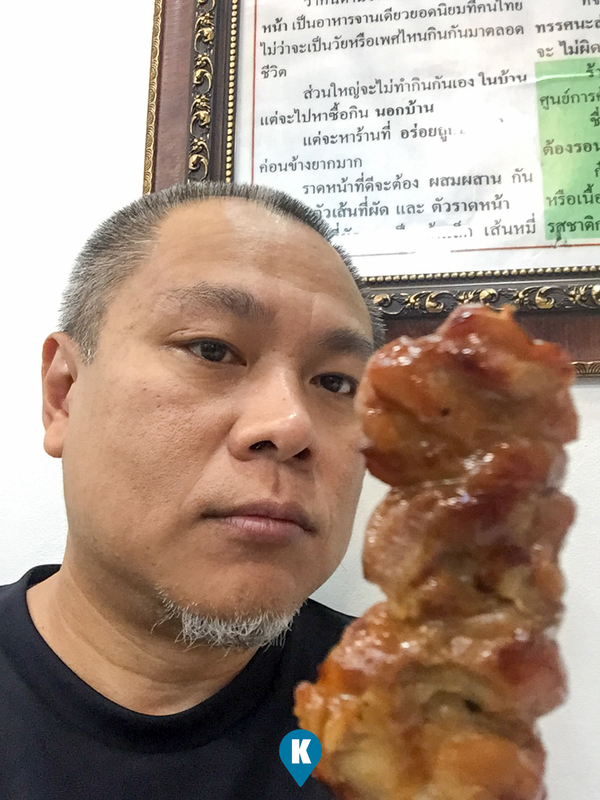 When we sat down and ordered the Pad Thai, we chomped down the barbecue pork. I was so enamored with this that while our order wasn't served yet, I went back and bought another batch. I was like a child in the candy store while having dinner. Pad Thai Shrimp in front of me, with barbecued pork in hand, I had a great dinner. 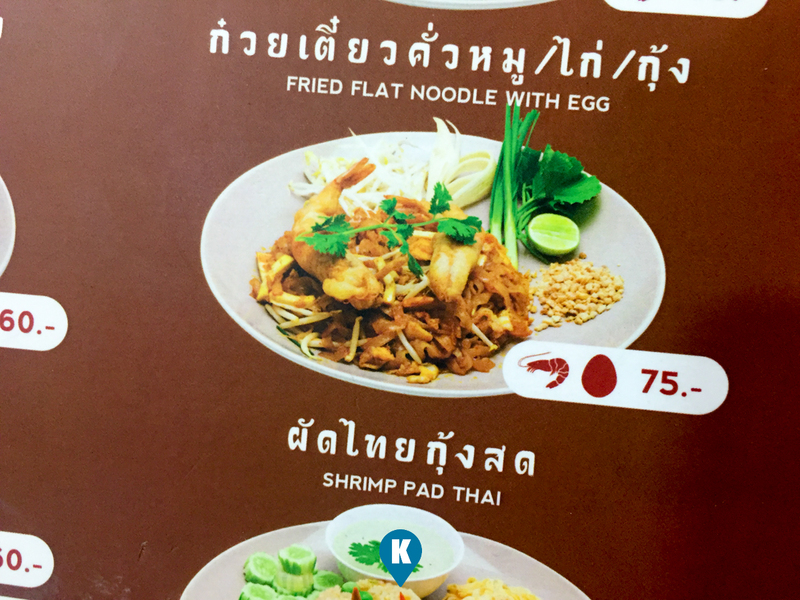 Our Pad Thai was around THB 75 (Php125). A bit expensive if you make the conversions but this is the most affordable dinner we were able to find around Impact Center. Did you read here that I am complaining? I can't complain about the price. It's affordable but the taste... ohhhh don't let me start babbling about how it tasted. 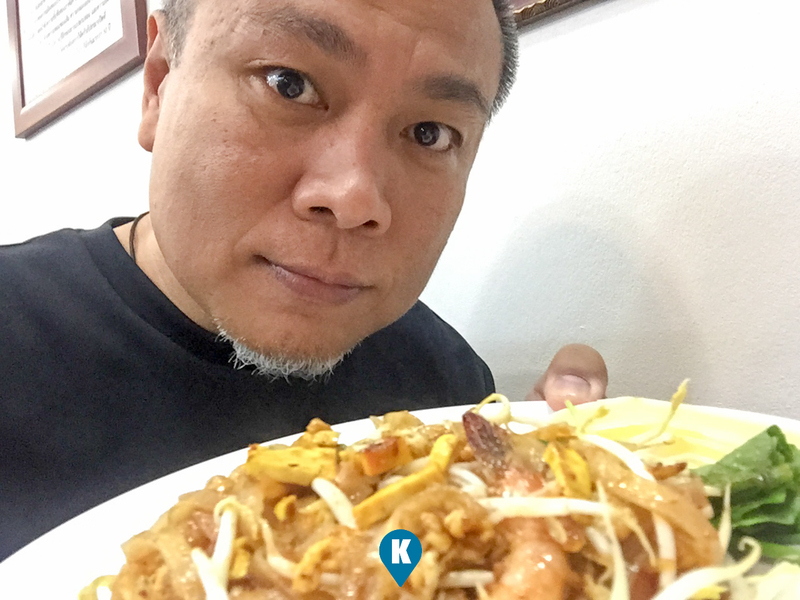 The pork was a great starter for a great meal, then the pad thai hit all the right spots with me. 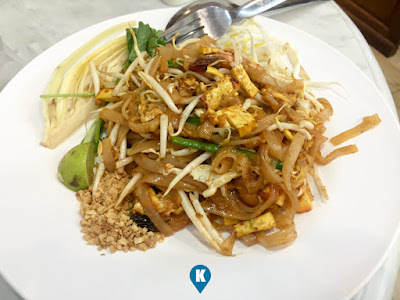 A hint of peanuts, the crunchiness of the raw mung bean sprouts (togue), the saltiness of the sauce, semi cooked veggies, ohhhhh nice pad thai. Noodles were coated with the sauce, cooked al dente, ohhhhhh great evening indeed. 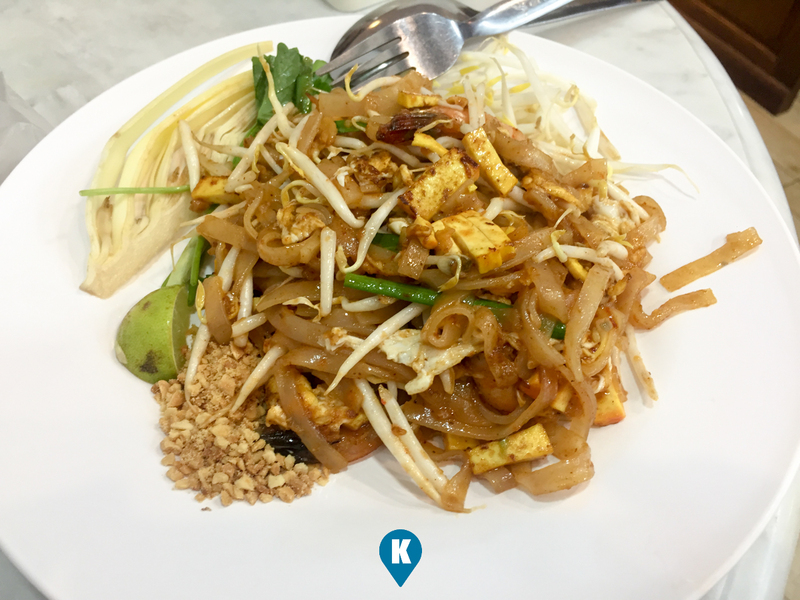 I had bits of shrimps on my pad thai, plus carbs from the noodles, with additional protein from my pork, I got a great meal here. Total meal cost THB115 (Php192). Well spent for food that's truly bon appetit. "take out". Although not much people dining in, I wondered at first why this is so. We later found out that at the back of Cosmo Bazaar, there's a huge residential complex. People who don't want to cook simply pass by here for their dinner. Can't blame them, food here is so good, I would also do the same if I was living behind this. Bangkok truly impressed me with their culture, their culinary treats, and tourism. Can't wait for me to get back and experience some more of Thailand.